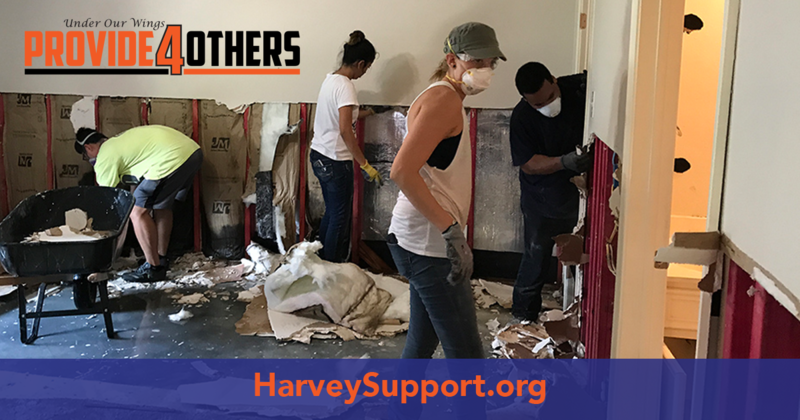 In the aftermath of Hurricane Harvey, the Under Our Wings team has been focusing efforts towards helping flood victims and their families get back on their feet. With our home base in Houston, we found ourselves quite lucky to not have experienced any flood damage. However, we must now turn our attention to our community. Our drive to help families stems from our understanding that kids cannot focus on dual language education, STEM, environmental stewardship, or anything in the realm of education without their basic needs being met. To learn more about Harvey Support and how to get involved with Adopt-a-Home, please visit www.HarveySupport.org. Thank you for continuing to part with Under Our Wings as we shift or efforts to where it is needed most.